Devolver Digital continues to have one of the strongest collections of games to show at PAX East this year. 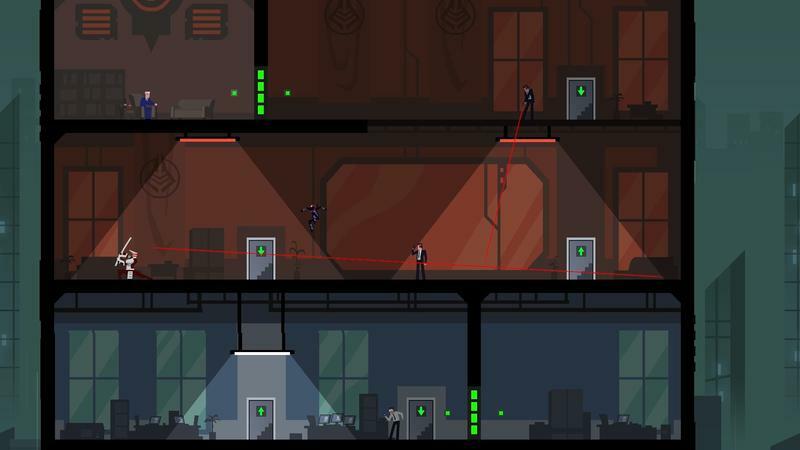 2015’s crop continues to impress us as we work our way through the indie booths. 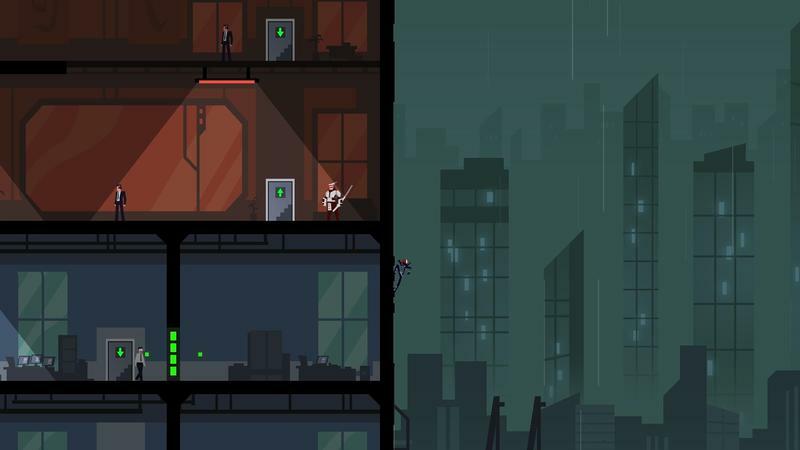 I was able to corner creator Tomasz Waclawek for a chance to see his game, Ronin. 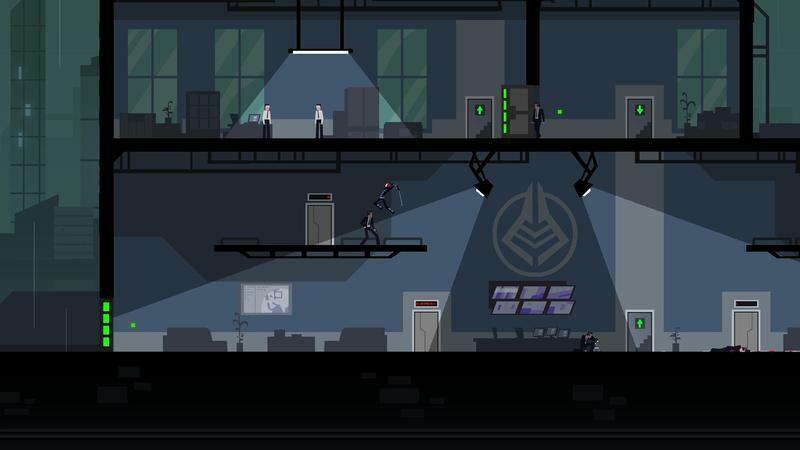 Like other games we saw from the Devolver booth, Ronin started out as freeware, with a playable demo of the original game still available from Waclawek’s site. A lot of fine tuning and polish went into what we saw on the show floor. You can see the results in the game’s most recent trailer. True to its name, Ronin features a rogue warrior wielding a samurai sword with a chip on her shoulder. There isn’t much to tell in terms of a story so far, but we know revenge is a major motivator for the protagonist. Stealth and careful planning are your best chances to accomplish that goal. 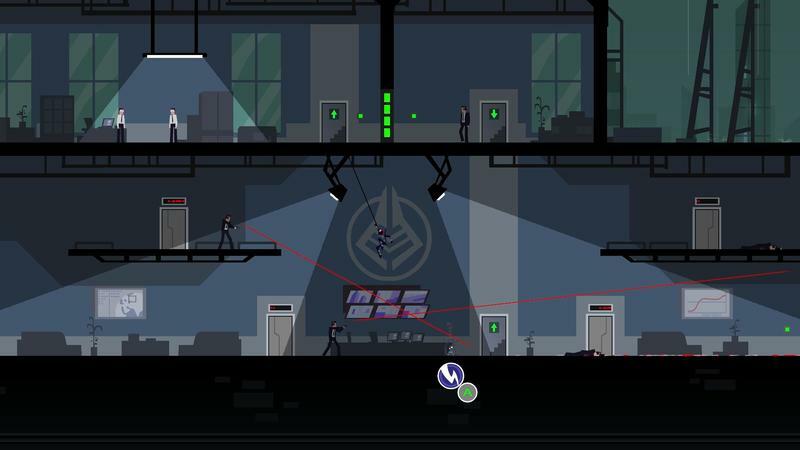 Ronin’s levels are designed to encourage players to remain out of sight, only coming into the light to dispatch unavoidable foes or to collect quest items that will help you clear a stage. 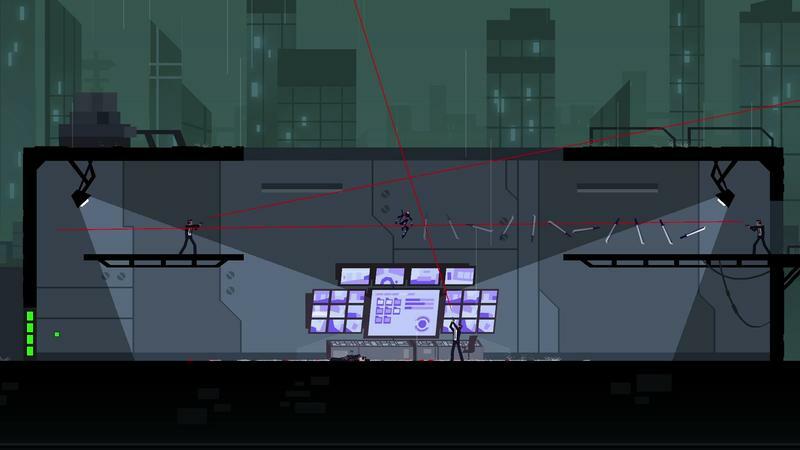 Once you engage an enemy, the game transitions from action platformer, to turn based combat. The game pauses when you complete a successful leap or deadly attack. From there you plan your follow up move as enemies telegraph their next shots. Getting past a lone henchman is a breeze and is especially satisfying when you can pull off a stealth kill. My first taste of this mechanic had me crawling along the ceiling and stringing up the gunman with razor wire. 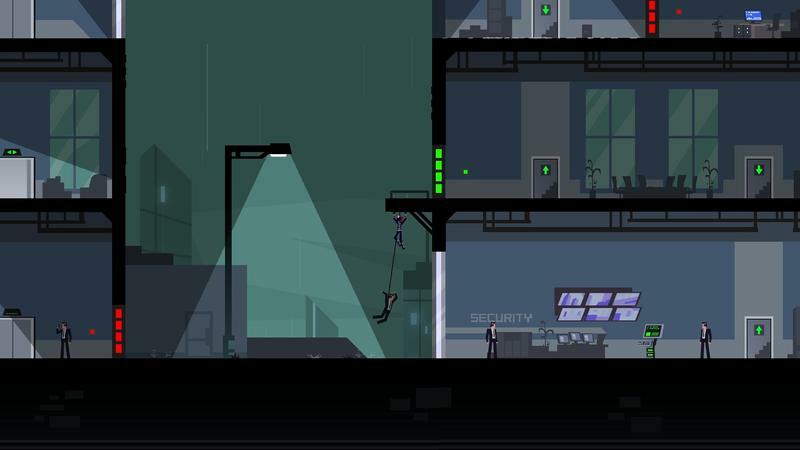 The level gets increasingly difficult if you’re sloppy or indiscriminate, since civilians and bad guys who stumble upon a dead body or catch you in plain site can cause the whole building to go on lockdown. Facing down multiple enemies at once turns each encounter into a unique puzzle. It left me constantly asking myself how I could use the environment better to avoid enemy attacks that kill you in one hit. It may sound like there’s a right and wrong way to go about each level, but it all depends on your style. Mistakes can be made up for, even if it results in a more difficult escape. Bonus objectives and timed runs keep give you even more incentive to replay levels, rethink your strategy and keeping a faster pace. The game is always keeping score, so you can easily keep track of your progress and see how you stack up against other players. What we were shown at PAX East is only a sample of the hazards we’ll face when Ronin launches this fall. We’re looking forward to the final product.